Just $5.95 a month and a 5¢-a-minute rate* for crystal-clear calling and unlimited karma points. With CREDO Long Distance, every call you make helps support progressive causes like human rights, the environment and voter registration—at no extra cost to you. So join the thousands of members who have raised $83 million since 1985 and turn every call into a call for change. When you join CREDO Long Distance, we’ll throw in a free pint of Ben & Jerry’s® ice cream each month for a year just to make it that much sweeter. *You’ll pay a low rate of 5¢ a minute for calls anywhere in the United States. © Ben & Jerry’s Homemade, Inc., 2013. 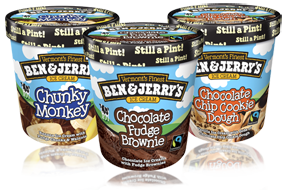 Ben & Jerry’s is a registered trademark of Ben & Jerry’s Homemade, Inc. and is used by CREDO under license.